Aritar is a region in the East Sikkim district Sikkim under Rongli Sub-Division. It is very famous for its natural and landscaped beauty. It is located on the edge of the Himalayas, and can be reached in about four hours' drive from Gangtok via either Pakyong or Rangpo. Aritar Lake also known as Lampokhari is one of the oldest natural lake in Sikkim and recently artificially constructed to facilitate boating for the tourists. At an altitude of 4600 ft it is the only lake with boating facility in Sikkim. We are proven to be the best taxi service provide in Aritar Lake. 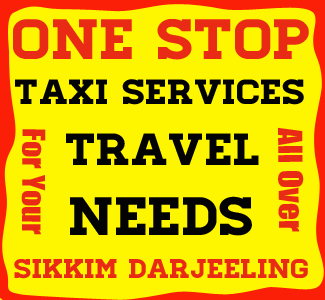 We provide - NJP to Aritar Lake Taxi Services, Bagdogra to Aritar Lake taxi Services, Gangtok to Aritar Lake Ttaxi services, Siliguri to Aritar Lake taxi services, Kalimpong to Aritar Lake taxi services, Pelling to Aritar Lake taxi services, Darjeeling to Aritar Lake taxi services, Aritar Lake to Gangtok cab rental, Aritar Lake to Zuluk cab rental, Aritar Lake to Darjeeling cab rental, Aritar Lake to Kalimpong cab rental, Aritar Lake to Pelling cab rental, Aritar Lake to Siliguri cab rental, Aritar Lake to NJP cab rental. We also provide packege tour over Aritar lake. Lampokhari : with an elevation of 4600ft is one of the oldest natural lake in Sikkim and recently artificially constructed to facilitate boating for the tourists. Dak Bungalow : Famously known as Ari-Bangla, it is an old British-built dak bungalow built by Sir James Claude White in the year 1895. At the same premises Sikkim’s first treasury was built as well as Sikkim Police was raised and the first outpost started functioning in the year 1897. Love Dara :is a low hill picnic spot of Aritar. Nirmal Dham : This place situated about 5 kms from Rhenock Bazar, is an abode of 'Nirmal Guruji' or 'Kopchey Baba', known for his miraculious healing power, which has attracted hundreds of devotees from all over India and neighbouring countries like Nepal & Bhutan. Aritar lake can be reach from Gangtok via Rhenock. You can also reach Aritar lake directly from NJP or Bagdogra via Kalimpong or Rangpho. NJP Rail Station to Aritar lake : 110 kms. Due to heavy tourist influx several small and medium hotels have come up in Aritar lake. Natural lover tourist can find plently of recently developed Homestay in and around Aritar Lake. Indian : Indian tourists visiting Aritar Lake do not require any permit to enter the state. Foreigner : Foreigners visiting sikkim are provided with only 15 days permit to visit Sikkim which can be extended for a further period of 30 days in two spells of 15 days each. This permit can be easily be obtained through the check post at Rangpho and Melli free of cost. This permits can also be obtained from Indian Embassy at different places. International travellers need to carry original and copies of photograph and passport. You can visit Aritar Lake through out the year. Best time to visit Aritar Lake is during the months of March, April, May, June, October, Nov. Road may remains closed during the month of July, August due to heavy rainfall and landslides.